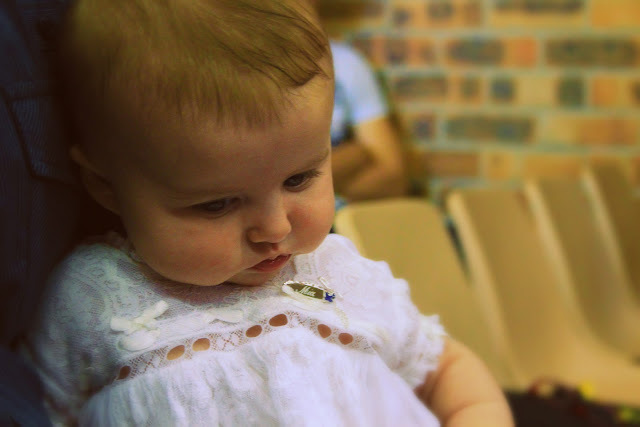 Yesterday my baby girl was baptised. It was a beautiful service, a beautiful day and I am so happy to see her become an 'official' child of God. My Mum did a fantastic job organising everything, it was amazing, She even made the cake herself! Punky was so sweet and happy most of the day and she didn't cry once during the service! Yay! Such a special day!! We dedicated Lior last weekend, and I was just about to write up the story! Love that first photos of Mia- so beautiful, and looks like a very pretty dress!